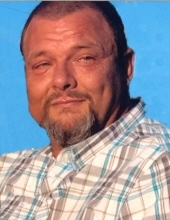 Mr. Bobby Lewis Ratliffe, age 50, of Temple, GA passed away Saturday, April 13, 2019. Mr. Ratliffe was born on January 1, 1969 in Alexander, VA the son of Polly Smith Breeden and the late Leabert Samuel Breeden. He was a truck driver and diesel mechanic for Josie's Transportation and was an avid Tennessee Vols Fan. Survivors include his wife of 30 years, Brenda Ratliffe; mother, Polly Breeden; children, William Robinson, Vanessa Robinson, Paul Ratliffe and Susan Ratliffe; brothers, William Ratliff and Joseph Breeden; sister, Vernie Steffey; grandchildren, Kayley, Taylin, Reese and Keiara; several nieces and nephews. Besides his father he was preceded in death by his grandchildren, Bella and Nevaeh Cochran and Star Ratliffe. The family will receive friends on Wednesday at Almon Funeral Home from 3 p.m. to 4:30 pm. Funeral service will be Wednesday, April 17 , 2019 at 4:30 p.m. from the chapel of Almon Funeral with Mr. Shae Farmer and Rev. Wally Dedmon officiating. Almon Funeral Home of Carrollton, GA has charge of arrangements. "Email Address" would like to share the life celebration of Bobby Lewis Ratliffe. Click on the "link" to go to share a favorite memory or leave a condolence message for the family.